Start more conversations with your prospects by catching their attention as they walk by your trade show booth. Let us design your large format banner that not only stands out visually, but is also easy to read from a distance. Large format retractable banner design. 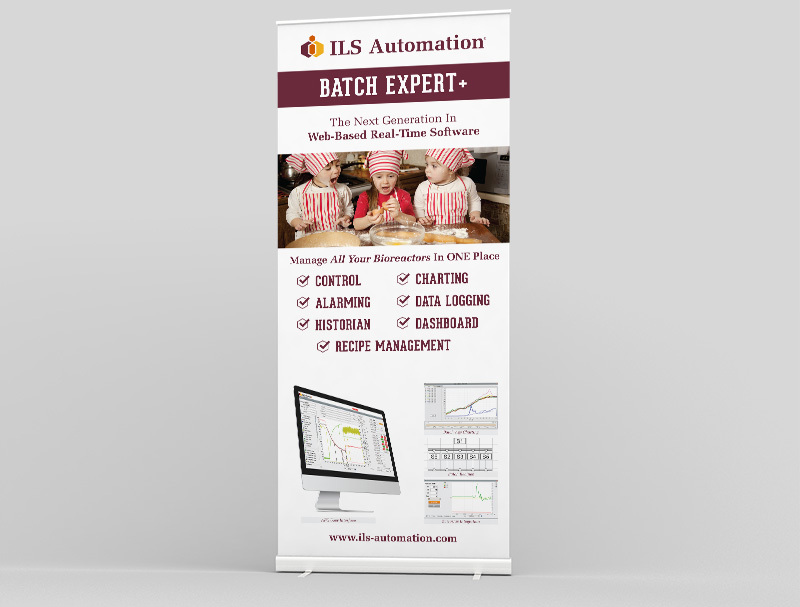 Banner’s final printed size is 33″ x 80″.